Legends Of The Wild West Wyatt Earp | BUDK.com - Knives & Swords At The Lowest Prices! 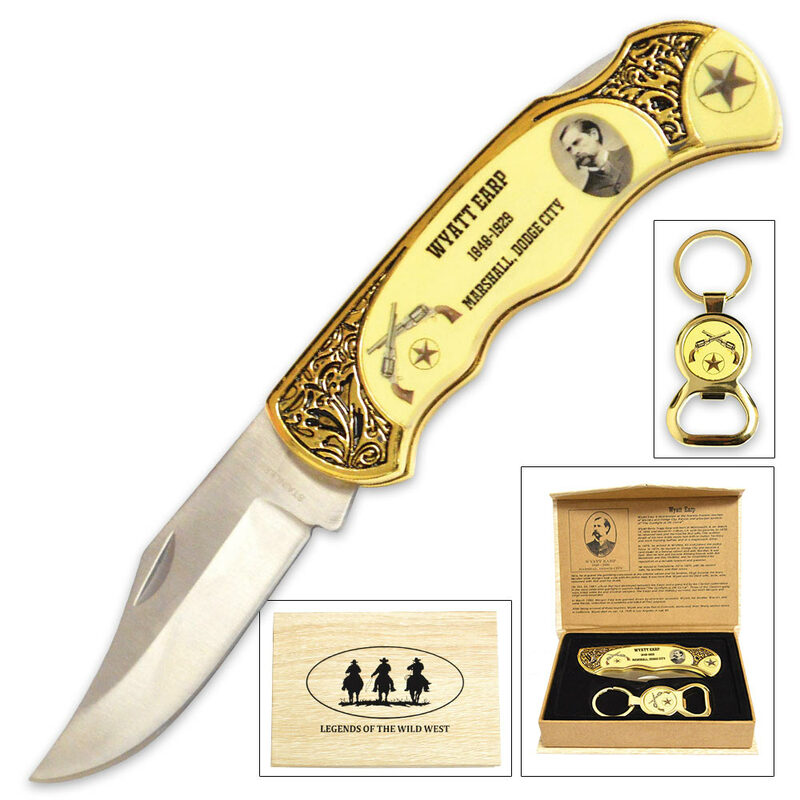 The Legends of the Wild West Wyatt Earp Commemorative Knife is a unique design and tribute to the American Wild West. The lockback knife has a 3 1/2” 440 stainless steel clip point blade. The handle has ornate metal work that is in line with the Wild West era. It features a black and white photo of Wyatt Earp, dual crossed revolvers, and in the center, "Wyatt Earp 1848-1929 Marshall, Dodge City". 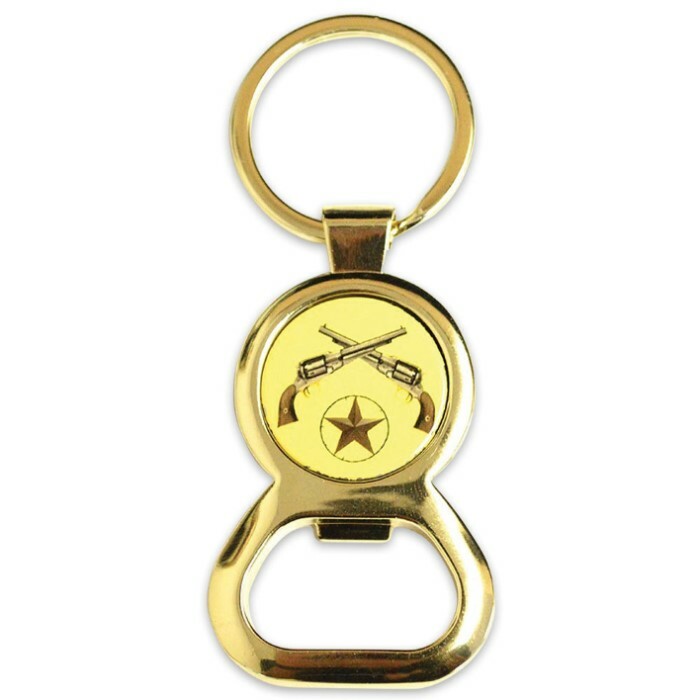 This commemorative set includes an attractive matching keychain bottle opener. 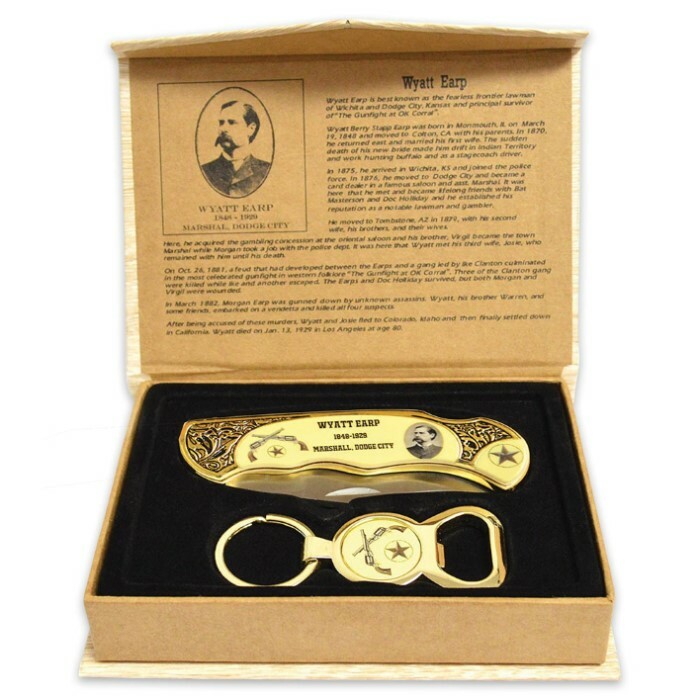 The gift box features a unique balsa wood design and the top features an outline design of three cowboys on horseback with "Legends of the Wild West" underneath. This Legends of the Wild West Commemorative Set makes an excellent gift for a collector.